In the past six months, Instrumental has expanded its customer base from quality leaders in the consumer electronics space to include multiple vehicle and medical device manufacturers. With customer demand for rapid expansion, for both development and mass production lines, Instrumental has hired Keith Lucas as COO to help scale the organization to meet the demand for Instrumental. In May 2018, Instrumental released Intercept, which identifies defects in real time, saving brands and manufacturers significant money in rework, scrap and returns. Instrumental's unique yield improvement technology captured the imaginations of multiple high-quality cell phone manufacturers this summer, enabling Instrumental to work with data from four cell phone programs, with more on the horizon. While reviewing the cost savings Instrumental technology enabled, the general manager of a mobile phone business unit remarked, "The value of Instrumental is obvious." "Since Intercept was released, our product has been ready for mass production lines and our business has grown by an order of magnitude," says CEO Anna-Katrina Shedletsky. "Keith is joining us at an exciting time in Instrumental's growth and will ensure that we scale effectively into the next stage. "I am thrilled to be here at Instrumental," says Keith Lucas. "Manufacturing is in the middle of a sea change due to increased automation and competitive pressures to reduce costs, improve quality and increase speed. Instrumental technology is a critical component of where that change leads." Keith adds, "I also love that we are working on hard problems and building a team of smart, mission-driven people committed to their customers and to each other." Keith was an early employee at Roblox, where he was hired to lead business operations; he ultimately led the product and engineering teams, helping guide the company through rapid growth, both internally and externally. Keith has spent the last 20 years in tech, leading efforts across engineering, product and business. He holds a Ph.D. in Aeronautics & Astronautics from Stanford and a Master's in Public Policy from U.C. Berkeley. Instrumental leverages data and machine learning to inject critical feedback loops that help engineering teams rapidly improve process stability and production yields – saving significant cost on repairs and returns. 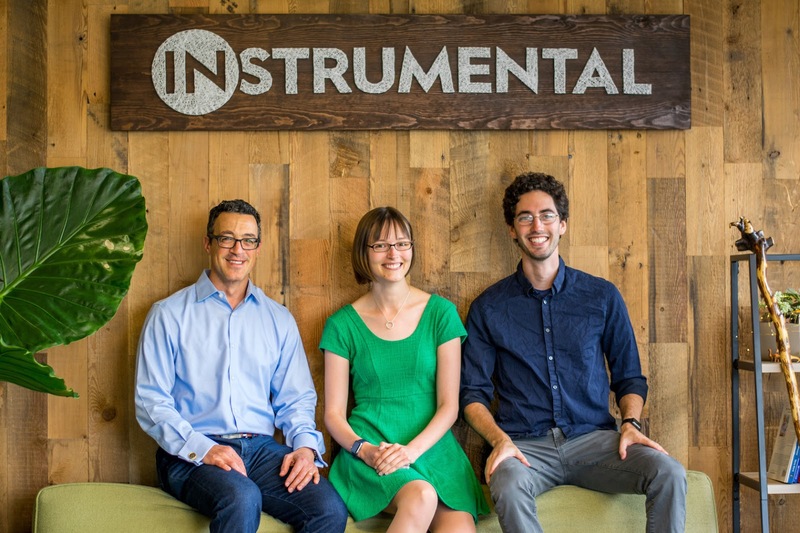 Instrumental has offices in Palo Alto, California, and Shenzhen, China.